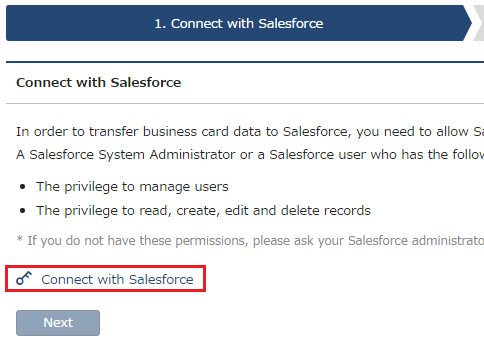 When using the Salesforce-linking functions, you can use either manual or automatic transferring of business card information. 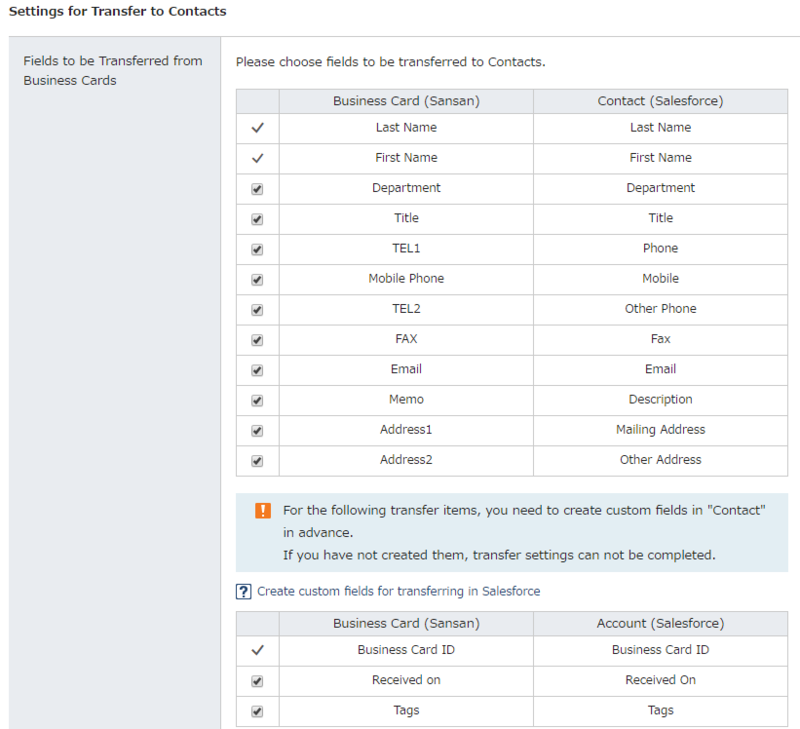 With manual transferring, you can select which cards you wish to transfer to Salesforce. Before you can do this, some settings are necessary. Here we will explain how to do the settings for manual transferring of business cards to Salesforce. To use this function, you need system administrator clearance. 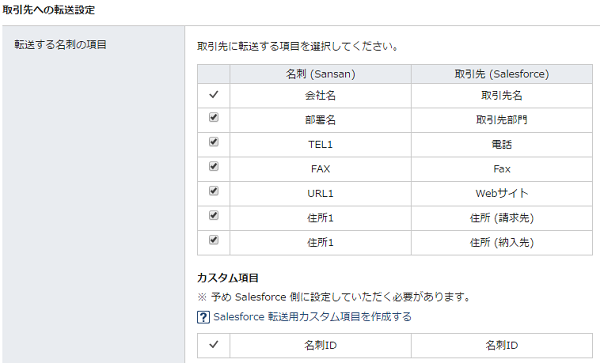 To use this function, there are some settings that need to be done in Salesforce. This can be done from Salesforce edition that include Web APIs. For more details, see here. You cannot use both manual and automatic transferring. You must select one or the other. Before you can start linking, there are two settings that need to be done in Salesforce. If these are not done, the test transfer done in "4. Starting and Stopping Transfer" will fail, so please do these settings. 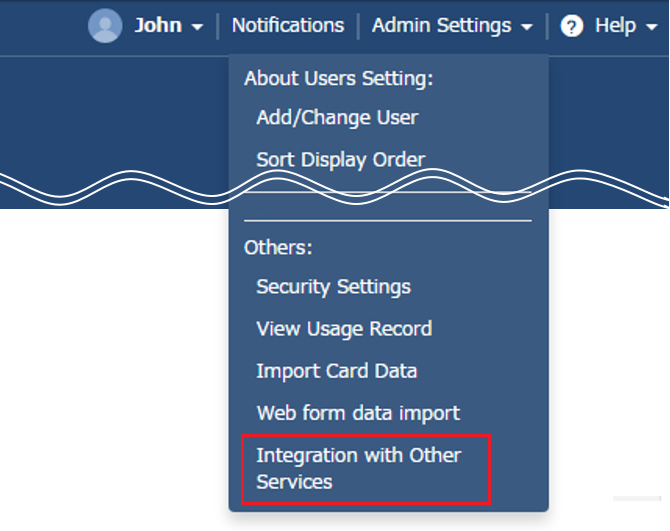 From "Admin Settings", go to "Integration with Other Services", and then click on "Salesforce". 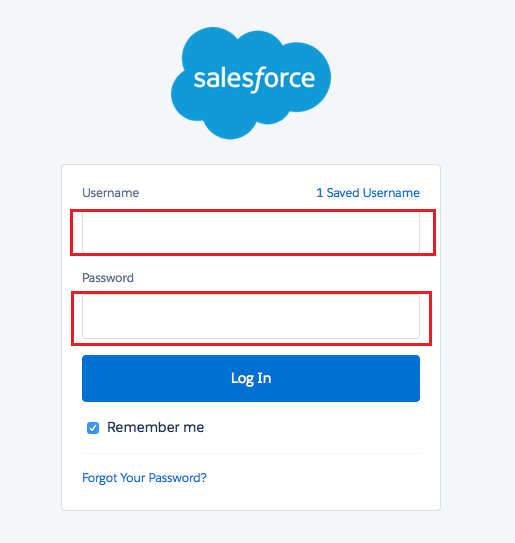 Click on "Authenticate Salesforce Account"
The screen for Salesforce authentication will come up. Input your user name and password, and then click on "Log in". Click on "Next". If you would like to authenticate from another account, click on "Undo account authentication".If the authentication fails, please see here. 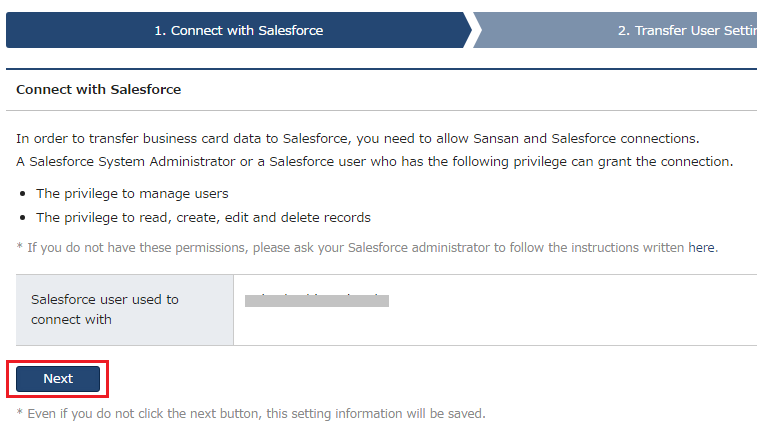 Select "Sansan users to transfer business card information" and "Target Salesforce Account for Transfer", and then click "Add".Only users with clearance for connecting with Salesforce will be displayed in the options for "Sansan users to transfer business card information".To give permissions, click on " Privilege to link with Salesforce can be conferred from the add / change user screen". After adding users, click on "Next". The target of the transfer can be set to either. Set the business card items to be transferred to Accounts. Set the rule for determining Accounts to be the same. The "Account Name" is the same The "Company Name" in Sansan will be used for the comparison. 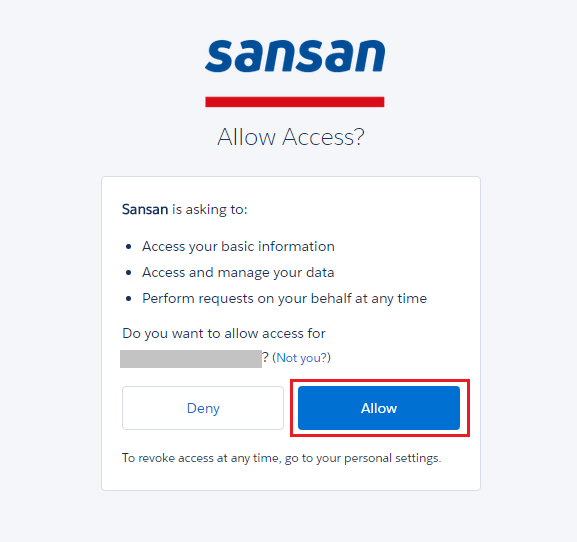 The "Account Name" and the "Account Site" are the same The "Company Name" and "Department Name" in Sansan will be used for the comparison. Set the business card items to be transferred to Contacts. Set the rule for determining Contacts to be the same. The "Account Name", "First Name", and "Last Name" are all the same The "Company name", "Last Name", and "First Name" in Sansan will be used for the comparison. Email address is the same. The "email1" in Sansan will be used for the comparison. Set the business card items to be transferred to Leads. Set the rule for determining Leads to be the same. The "Company name", "First Name", and "Last Name" are all the same The "Company name", "Last Name", and "First Name" in Sansan will be used for the comparison. After completing the settings, click on "Next". 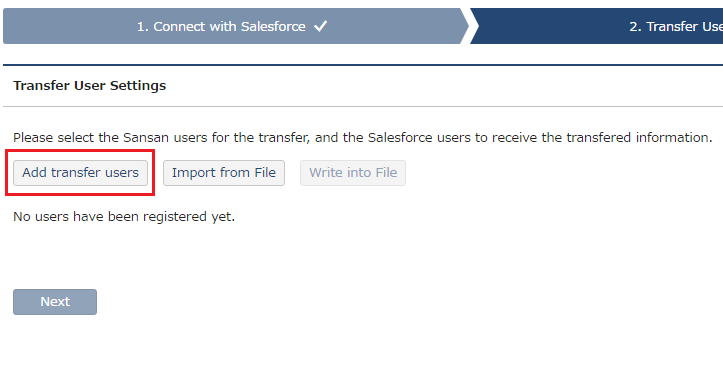 Select a Salesforce account to transfer a sample business card to, and then click on "Transfer test". If the transfer was successful, click on "Enable manual transfer". 2. 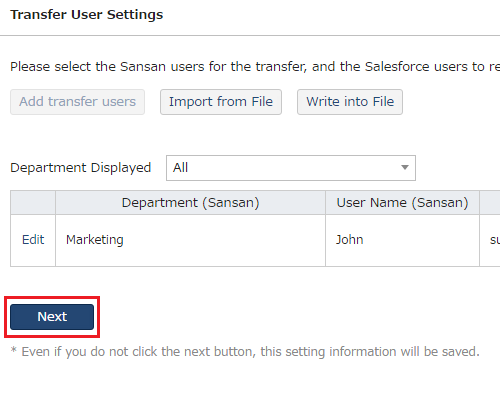 Sansan users who are registered through the settings for transfer users can transfer selected business card data to Salesforce. For how to do this, see here. * If the transfer test fails, please see here. * For FAQs about Salesforce integration, see here.